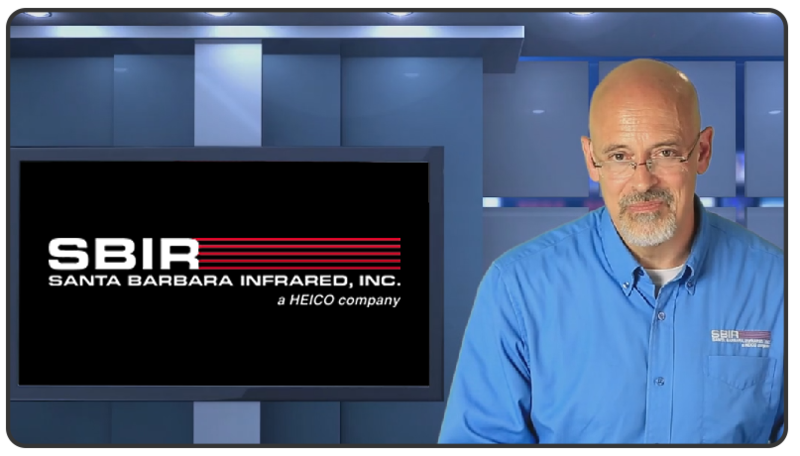 IRCameras is a subsidiary of Santa Barbara Infrared, a long-time leader in the design and manufacture of electro-optical (E-O) test instrumentation. SBIR, in turn, is part of HEICO Corporation, a technology-based aerospace company that’s been engaged in niche market segments within the aerospace, aviation and electronics industries for more than 40 years. Together we are uniquely positioned to advance development of thermal imaging technologies, and to commercialize these technologies for a wide range of applications including: nondestructive testing, predictive maintenance, online process monitoring and control, scientific research, target signature, security and surveillance and many more. For more information, please call 1-805-965-5650 or email sales@ircameras.com. QuazIR™ HD+ is a true high definition infrared OEM sensor engine and it is available in the smallest package produced today. 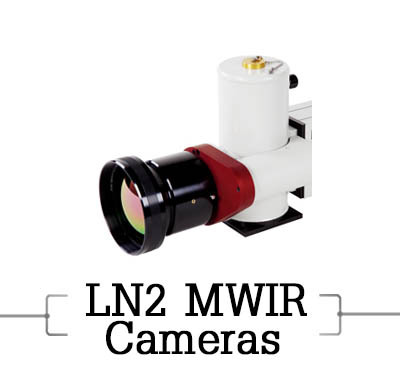 Based on advanced high operating temperature (HOT) infrared focal plane technology, the QuazIRHD+™ HOT MWIR camera core provides 1280 x 1024 resolution in a package specifically configured for applications where size, weight and power (SWaP) are critical considerations. This new core incorporates the latest MWIR detector technology, and is intended for fixed and mobile surveillance applications requiring both high resolution and excellent thermal sensitivity. 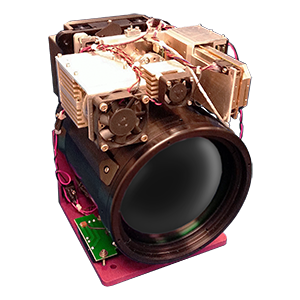 With a detector operating temperature of 135° Kelvin, the QuazIR™ HD+ camera core requires only 7 watts of power in a package that weighs about one pound, and is designed for continuous operation in mission critical applications. 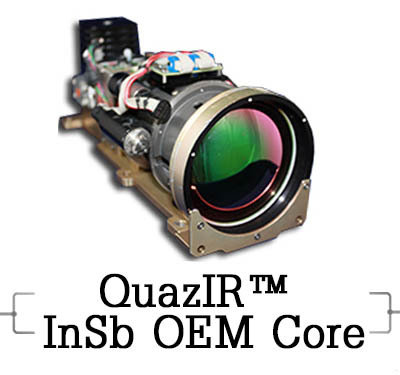 QuazIR™ InSb, IRC’s new family of MWIR OEM camera cores are among the most advanced cooled OEM sensor packages produced today. 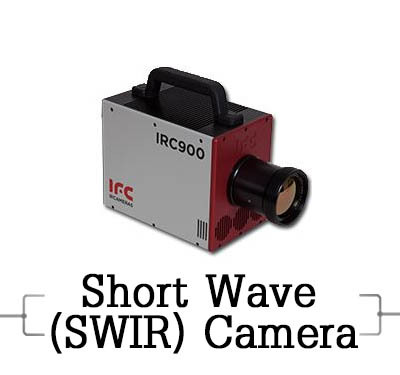 Available in either 320×256, 640×512 or high definition 1280×1024 formats, IRC’s QuazIR camera cores provide the superi or performance of a mid-wave sensor in a package specifically configured for applications where size, weight and power are critical considerations. Our QuazIR™ cores can be configured with a choice of fixed or continuous zoom optics, and can be adapted to support custom lens designs. Both camera and optics can be controlled through a single integrated communications interface. 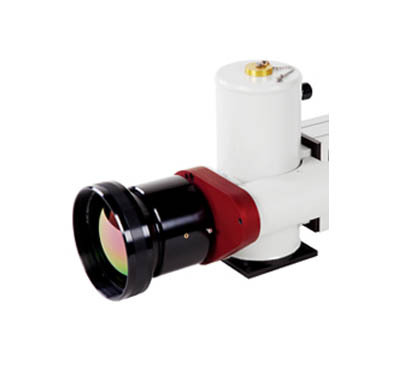 Flexible digital and analog outputs, low power consumption and unmatched thermal sensitivity result in a high performance infrared imaging solution appropriate for mission critical fixed, mobile and airborne applications. 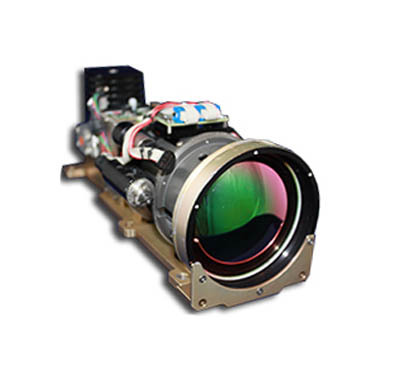 IRC’s new Niatros™ MWIR optical gas imaging camera cores, manufactured exclusively for sale by Leak Surveys, Inc., are among the most advanced cooled thermal infrared sensor packages produced today. Available in a choice of FPA formats, our Niatros™ camera cores are equipped with patented technology to optically image and detect hydrocarbon gases. Our Niatros™ InSb gas imaging cores can be configured with a choice of closed cycle Stirling coolers rated for approximately 10,000, 45,000 or 90,000 hours mean time to failure. A wide range of both fixed focal length and continuous optical zoom lenses with auto focus is offered. Both camera and optics can be controlled through a single integrated communication interface. 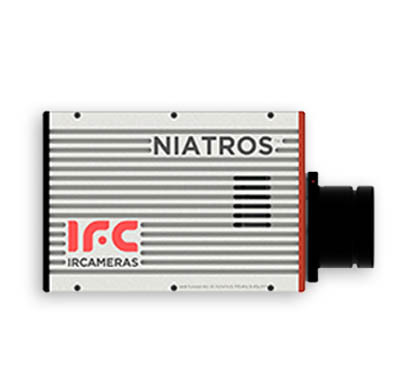 Niatros™ camera cores are available with a choice of digital and analog inputs and outputs including Camera Link, H.264, NTSC/PAL video and RS-232/RS-422. 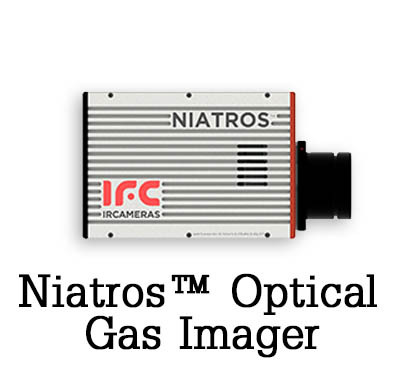 Niatros™ is equipped with advanced image processing features including Local Area Processing-Dynamic Contrast Enhancement (LAP-DnCE) and a noise reduction filter to optimize the detection and imaging of fugitive gas emissions. 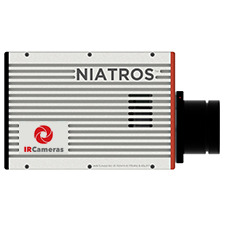 Niatros™ HD+, our 1280×1024 high definition MWIR imager, is based on nBn technology, the latest in high operating temperature (HOT) midwave sensors specifically designed for applications where a minimal footprint and low power consumption are important considerations. 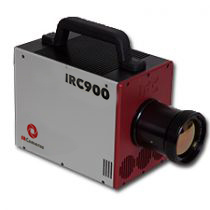 The IRC906SLS is the latest addition to IRCameras’ line of Closed Cycle Stirling Cooled Cameras. High sensitivity and a broadband response from 2µm to 10.5 µm make the IRC906SLS well suited for Chemical Detection and Analysis, Target Signature Characterization and Spectroscopy applications. 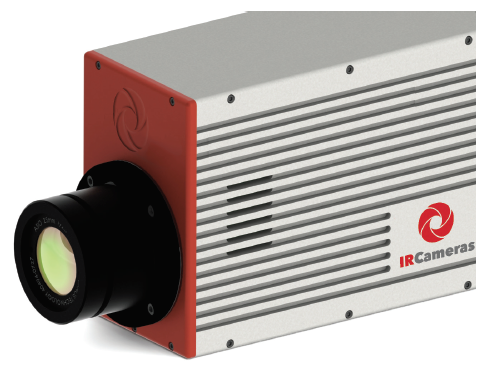 The IRC906HS is the latest addition to IRCameras’ line of Closed Cycle Stirling Cooled InSb Cameras. 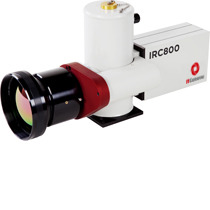 High sensitivity and a broad spectral response from 950 nm to 5 µm make the IRC906HS well suited for spectroscopy, infrared search and track, target signature, astronomy, laser detection & characterization as well as other demanding SWIR imaging applications. 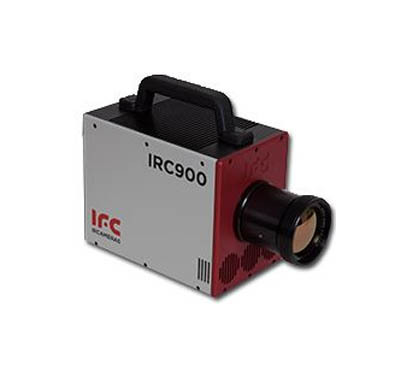 The IRC906HS offers an optional proprietary antireflective focalplane coating that extends the low end spectral response from the standard 950 nm to 400 nm, further enhancing the value of this already versatile imager. 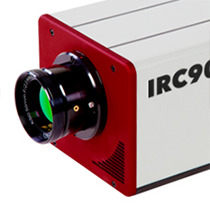 The IRC800 Series cameras offer the ultimate in flexibility for research scientists. Camera operators can vary integration times, frame rates and cold filters to meet the most precise testing requirements making the IRC800 the perfect instrument for prototyping system development or where application requirements may change. A 1/3-liter LN2 pour-filled Dewar assembly maintains temperature for up to 20 hours unpowered and 9 hours powered which makes the IRC800 Series perfect for Scientific Imaging, Process Analysis and Quality Assurance. A developer’s kit is available for users who wish to create their own applications.